You may have heard recently that SOPA, the controversial anti-piracy legislation that was defeated in the house in 2011, has returned. Like most things on the Internet, this isn’t entirely true. The issue in question has very little to do with “SOPA.” which has become something of a marketing term for online activists to raise the alarm about anti-piracy measures. However, the issue, which has to do with the role of piracy in international trade, is concerning, and worth your attention. Let’s take a minute to explore exactly what’s going on, and how it does and does not relate to SOPA. SOPA, the “Stop Online Piracy Act” was a bill introduced in the house in 2011, which was intended to stop people and organizations based in foreign countries from infringing on US intellectual property. It introduced several mechanisms to do this, including substantial (five-year) prison sentences for US citizens who consume pirated material, and a mechanism to ban ISPs, search engines, and payment platforms like PayPal from serving or providing access to companies accused of infringement. This mechanism was to be extra-judicial, meaning that companies could enforce a block quickly, without a lawsuit or trial. 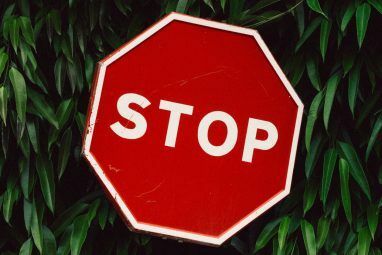 SOPA’s critics accused the law of being unjustifiably harsh, ripe for abuse, and virtually unenforceable. A large number of companies, including Google, staged online protests. 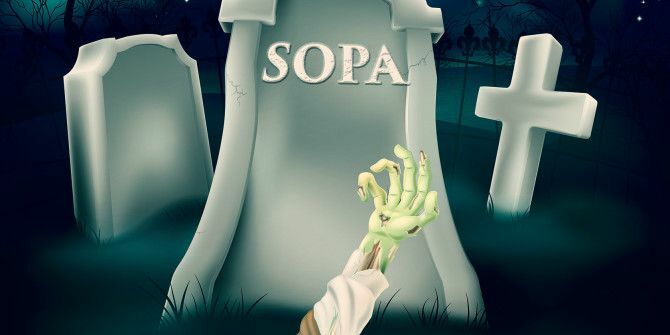 The public outcry was considerable, and both SOPA (and its twin bill in the Senate, PIPA) failed. The current controversy doesn’t have to do with a bill at all, but with a case involving a dental technology company called ClearCorrect. ClearCorrect makes “invisible” braces. They take scans of the user’s teeth, then warp those scans with computer software to create a custom retainer that forces the teeth into a better alignment. This process infringes on the patent of Invisalign, the company that originally introduced the process in the US. 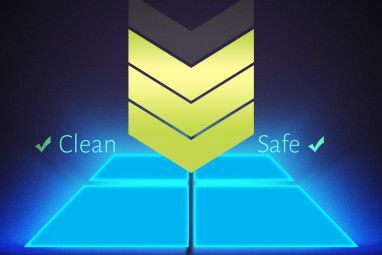 ClearCorrect, until recently, has been getting around this by handling the software analysis via a subsidiary in Pakistan, and sending the results back. Invisalign has sought redress using the ITC (“International Trade Commission”), a semi-independent US agency responsible for blocking IP-infringing goods from other countries. The ITC is not a court, and was intended to provide a faster way for IP-holders to block the flow of goods into the country (rather than going through the judicial system, which can be extremely slow). As such, the ITC has relatively limited powers: it can issue “Exclusion” orders, which allow customs to seize specific goods found to be infringing, and it can issue “Cease and Desist” orders, which allows the ITC to force companies and organizations it believes to be trafficking in infringing goods to cease all import operations on threat of heavy financial penalties. That’s it. Normally, this wouldn’t be an issue. Invisalign would report the infringement to the ITC, and the ITC would issue an exclusion order to customs which would seize the shipments of ClearCorrect retainers as they cross the border. What makes the case of such interest is that ClearCorrect is not physically shipping the retainers at all: they’re sending files over the Internet to their offices in Texas, where the retainers are 3D printed based on that data. As such, nothing is physically imported: the infringing goods in this case are data, which the ITC obviously has no jurisdiction over. Or does it? Last year, the ITC granted itself the power to enforce these sorts of restrictions on pure data. Now, it wants to enforce a cease-and-desist against ClearCorrect, based on the premise that it’s trafficking in pirated goods (data files). ClearCorrect is appealing in the Federal Circuit court on the grounds that it believes that the ITC’s assessment of its charter is incorrect. If the ITC wins, it would give it a new and extremely broad ability to enforce cease-and-desist orders against any company found to be trafficking pirated content. This is similar to some of the enforcement mechanisms of SOPA. Legally, the question comes down to the definition of an “article” in the ITC charter. The term was defined in 1930, before the rise of electronic communication, so the question of legal interpretation is difficult. It could be years before a final verdict comes through. However, a great deal hinges on the outcome. If the ITC is allowed to exercise its authority over data, the effects could be alarming. Takedowns could be executed without the due process of a lawsuit, which could potentially limit freedom of speech. There’s also a concern that the mechanisms that ISPs would need to implement to comply with these cease-and-desist orders could be abused. Charles Duan, an attorney with Public Knowledge (an online freedom advocacy group) has expressed this concern in a legal brief. There’s also the risk that the threat of an ITC cease-and-desist could be used as a bludgeon against large corporations. If Google ends up on the wrong end of an IP dispute, the ITC could conceivably ban it from all “importation” of data into the US, essentially shutting down its US operations indefinitely. This would be so expensive that Google would be more or less forced to comply with any terms offered by the other party. The situation here ultimately boils down to a fundamental conflict regarding intellectual property. SOPA was defeated in court, which leaves organizations like the RIAA and the MPAA with little recourse against the growth of online piracy. And, to some degree, I sympathize with IP owners. It really seems, in the ClearChannel case, like moving your computers to Pakistan shouldn’t be enough to avoid US IP laws. You can argue all you like against the existence or implementation of those laws, but so long as they exist, they probably ought to be enforced What Should Be Done About Online Piracy? 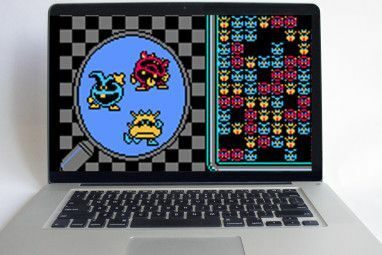 [We Ask You] What Should Be Done About Online Piracy? [We Ask You] People are sharing copyrighted files over the Internet every day and in every part of the world. It's a huge problem for record labels, film studios, TV companies, and the creative people behind the albums,... Read More . However, the people of the US have made it clear, many times, that they are not willing to give up their civil liberties and the open nature of the Internet to enforce the IP protections of a few big corporations. This has left organizations that depend on copyright for their bread and butter scrambling to find other ways to suppress piracy. That’s why they’re pushing for organizations like the ITC to reach far beyond their original scope to help. I suspect the court ruling will eventually bear out common sense. Until then, though, it’s worth keeping a close eye on the situation, to ensure that an obscure government agency doesn’t wind up hijacking the entire structure of the internet. What do you think? Is the ITC overstepping its authority? Is downloading a file the same as importing a physical article? Let us know your thoughts in the comments! How to Handle a Copyright Infringement Notice From Your ISPDoes Windows 10’s WiFi Sense Feature Represent a Security Risk? SOPA is essentially a way for the government to have a hand in the internet and basically shut down quite a few sites for no legitimate reason. @Andre: Your title choice is about as sleazy as it gets. I think that there does need to be some way to protect copyright and ip internatonally, but I don't like the idea of the ability to fast-track it without the ability of the accused to defend themselves. It just makes it rife for abuse by people attempting to stifle competition. "It could be years before a final verdict comes through"
By which time it will already be obsolete and outdated. Tectonic plates move faster than the courts.